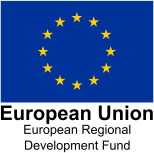 Dunston Business Village is located in open countryside, adjacent to the famous Cannock chase. The development consists of five secluded courtyards which are laid out for informal meetings and refreshments. Stylish 18th century brick built barns compliment the modern glass fronted purpose built offices, which offer a larger office space footprint. Great care has been taken to keep and enhance the 18th century buildings and a number of noticeable features such as round windows and ornate brickwork have been exposed to create an outstanding character office environment. We are sure you would be proud to bring clients and/or suppliers back to your office. Cannock chase offers unrivalled scenic beauty and you can be in the heart of Cannock Chase within five minutes. Why chose such a location ? 1. In terms of the scenic effect on the business park, research shows that "employees are three times more likely to stay with a company if they are located in a pleasant environment." 2. In terms of customer focus, research also shows that if you "keep your workforce, you are also more likely to keep your customers." 3. More retained customers means more profit. 4. QED: A good environment = Profit.